And the 2 things you ned to move forward. And the two things you DO need to move forward. I talk with people often who can’t seem to make the leaps forward that they KNOW they can make. They feel stagnant and like they aren’t going anywhere. 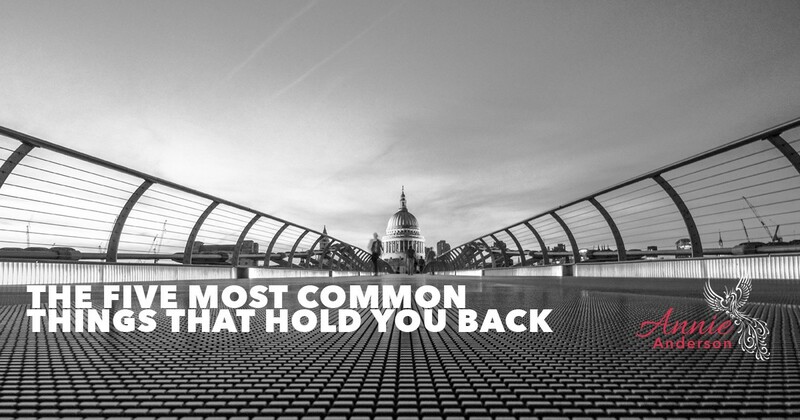 Here are the five most common things that hold people back. Doing more than one thing at a time leads to distraction, half-assed attempts and feeling like you’re never getting anything done. It often feels like there’s not enough time in the day to do all that you need to do and your to-do list is always miles long. When your focus is not clear, it is difficult to create a good, doable plan that you can follow easily and allows you to make massive forward momentum. It often leads to multi-tasking, procrastination and perfectionism or increases those if you have tendency towards them anyway. Having weak systems — or no systems at all — is especially harmful to your business. It often means little gets done efficiently and you end up spending so much time on things that should be simple, you don’t get anything done. Everything feels like it takes forever to complete. You just put things off to the last minute. Perhaps you think you work well “under pressure” or something. But that is false pressure. Or maybe you put off doing certain things because you don’t like them or don’t know how to do them. Or you put things off because you lack focus. In any case, it’s derailing you and that’s not fun. Often when you’re unclear about things, don’t have good systems and frameworks in place to build from and try doing too many things at once, you feel more and more pressure to get everything perfect. And I’m here to tell you, perfect is an illusion. Actually, all of these are an illusion you’re buying into because you fear success, you fear being seen and heard, you feel unworthy and maybe you just don’t think you can really do this — whatever “this” is for you. You see so many other people doing what you want to do and so you take all kinds of courses and classes and. . . don’t even finish them. But all these people you follow online say you have to have abc and xyz and more and so you think you can’t do anything until you do everything they say. STOP SUBSCRIBING TO THOSE IDEAS. And I can tell you, you do not need another course. You do not need another tool. You do not need every single thing you see everyone else doing to make massive forward movement. What you DO need is FOCUS. What you DO need is to do YOU. That’s the fastest track to making an impact. Stay tuned for my next post about 10 things you can do to eliminate these and more.